How To Change Font In Facebook Messenger? FB messenger font size ~ Ways on how to change font in Facebook messenger on android? Is there any way to change font size on Facebook messenger? The answer is yes! I have the same problem before but when I tried the settings that I am going to share here, it works. Ways on how to change font in Facebook messenger on android? Is there any way to change font size on Facebook messenger? The answer is yes! I have the same problem before but when I tried the settings that I am going to share here, it works. 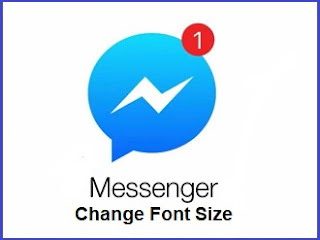 Lot of people trying to change font of Facebook messenger because the font letter of messenger is very small because it works using mobile phone or tablet. But only few people know how to do it, because if you find the font setting in Facebook messenger, you cannot find it. But there is the way to change font in messenger. Here is the way to change font size in messenger, check it out below. Step by step guide on changing font size in Facebook messenger. Well, this setting was tried already in the android phone and it work. And this is how we can change font size in Facebook messenger for android. > First thing, you must clear the data for Facebook messenger. Go to setting of your phone, then Apps, then find the messenger application, then click it to open, then force stop, then clear cache, then clear data. > Second thing, you should go to accessibility, then find the “Large text” and switch “ON”. > Next is to go in the standby mode, then go to the messenger application and open it, login then open any conversation to check the font of text. > If successful then you’re done. That is all on how to change font in Facebook messenger in regard to its size. I hope you found it useful. And consider it to share to your friends and family. Learn On How: How To Change Font In Facebook Messenger?